Katie Roiphe and I would not be friends in real life I think, but I’m not sure what kind of conversationalist she is compared to her writing. Roiphe writes a column for Slate where she has downplayed the uses of feminism time and time again. Yet when she calls upon it in her latest book of essays “In Praise of Messy Lives”, she does it eloquently and from time to time favorably. While some essays take on a traditional question such as the age old inability to understand the phenomenon of a single mother, some of the essays are distinctly modern. In one of my favorite essays, The Fantasy Life of the American Working Woman, she discusses the “exhausting responsibility of a contemporary woman’s life… the pressure” and the desire for a “vacation from the hard work of equality” – a paragraph that resonated in my heart comfortably because it was true. Equality is hard work. There are small perks – not really benefits but in some cases more like privileges – that women lose out on now because the assumptions that used to come with our gender are no longer a valid argument. There are things that we are now expected to do that are tiring. But that is the price we pay and it’s probably worth it. Being able to admit that, was freeing. And it was possible because in this collection, Roiphe does not judge harshly the messy lives she speaks of. She simply speculates, wonders why it is and wanders onto the next messy subject leaving it unable to affect her pursuit of her own messy life. 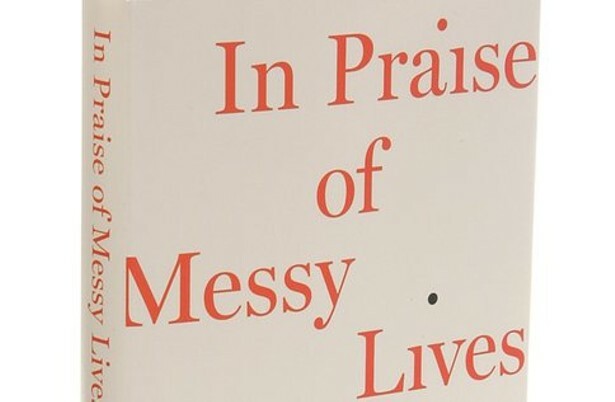 This entry was tagged Book reviews, Books I'd Leave My Baby Sister, In Praise of Messy Lives, Katie Roiphe. Bookmark the permalink. I enjoy Katie Roiphe’s writing. I especially liked “Uncommon Arrangement” which told of the lives of several couples in the late 19th and early 20th centuries. H. G. Wells and Rebecca West as only one couple covered. She also wrote about Lewis Carroll and the little girl he based Alice in Wonderland on, Alice Liddell. I definitely want to read more of her. I don’t think the reviews I’ve read of her work are wholly accurate but her column tends to rub me the wrong way still. She rubs a lot of people the wrong way with her opinions, me included. But I enjoy her biographical work such as the two I mentioned. And I don’t she is someone I would like to have lunch and a chat with.